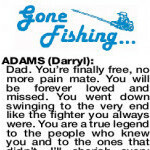 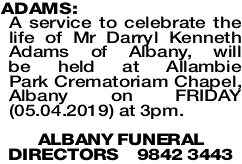 A service to celebrate the life of Mr Darryl Kenneth Adams of Albany, will be held at Allambie Park Crematoriam Chapel, Albany on FRIDAY (05.04.2019) at 3pm. 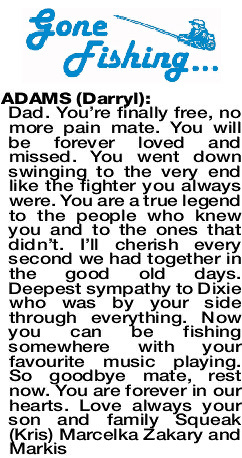 Our thoughts are with Kristian and family on your loss. 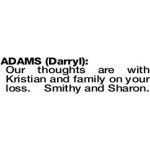 Smithy and Sharon.